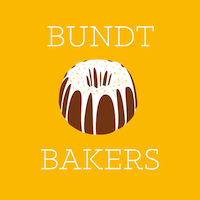 The Bundtbakers November theme is "Punt the Bundt" by Sue from Palatable Pastime. The idea is to make a bundt cake perfect for tailgaiting. What is tailgating? In the USA, people who go to football games early will picnic out of the back of their vehicles, usually in the parking lot, often in elaborate ways. But we could also make a cake perfect for on the road or to a picnic (nothing about football ;-) ). Thanks Sue for hosting and the fun theme! ¡Muchas gracias Sue por traernos este simpático tema! Finally, it's Fall again, my most favorite baking season! :-) And also a long time ago that I had been baking a new Bundt Cake recipe, so when I saw the theme that Felice of All That’s Left Are The Crumbs proposed “Orange”, I put my name right away on the list. You could chose “Orange” as a flavour, or orange as a color, that is anything with carrots, sweet potatos, pumpkin, etc. ¡Por fin ha vuelto el otoño, mi estación favorita en lo referente al horno! :-) Y, además, hacía bastante que no horneaba una receta nueva para bundt cake, así que, cuando vi el tema propuesto por Felice, de All That’s Left Are The Crumbs, «naranja», me apunté de inmediato. Se podía elegir «naranja» como sabor o como color, lo que incluía también zanahorias, boniatos, calabaza, etc.